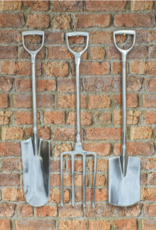 Garden fork, spade and shovel. 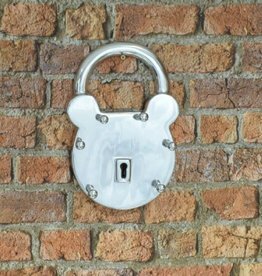 Aluminium mail box - white. Supplied with two keys. Freestanding. 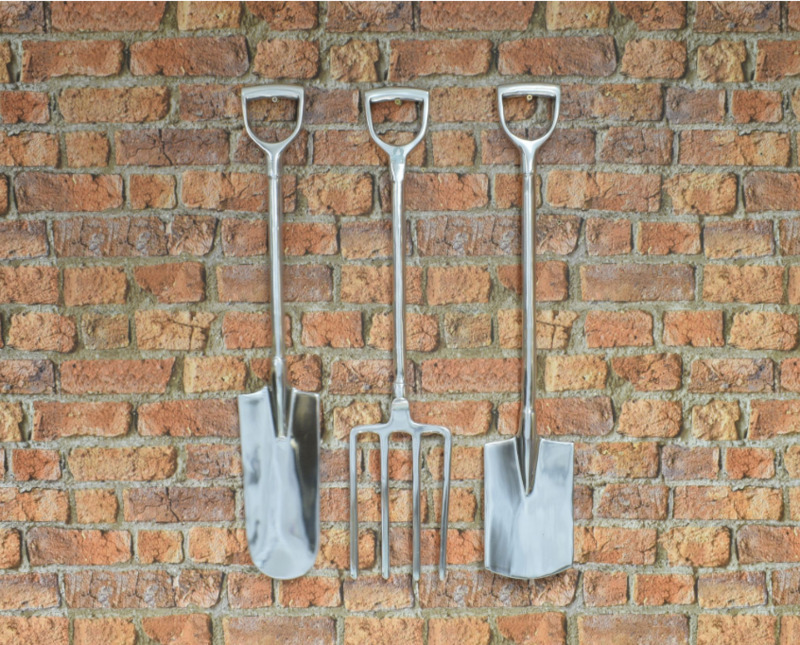 Extra large cutlery wall set. 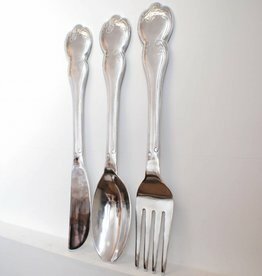 Polished aluminium fork, knife & spoon.